Discussion in 'News and Announcements' started by Roshen, Mar 7, 2016. Wednesday, March 9, 2016, we’ll be opening up free transfers from Deathtoll to Stormhold. Deathtoll will be merged with the PvE Time-Locked Expansion server Stormhold. This is currently scheduled for Tuesday, April 5, 2016. If you haven’t chosen to transfer your character before this date, we’ll be moving characters that remain on Deathtoll to Stormhold on April 5. How Do I Transfer for Free? Check your mailbox! Characters will have a free transfer token waiting for them by NOON PST on Wednesday, March 9. Using this token will let you move from Deathtoll to Stormhold. While this transfer is FREE, you may want to see other requirements of character transfers here. Players that started their adventures on Deathtoll will continue to have a home in Norrath on the Stormhold server. We appreciate your continued support! What isnt mentioned in the requirements list is the maximum level for TLE, I have a level 90 i would transfer if there isnt one. The only transfers are from Deathtoll to Stormhold. Both servers are currently in KoS with a level cap of 70 and 50 AA. So PvP is officially over in EQ2? Or is there a character opt-in for those on Stormhold after the full merger? Also, will BGs be introduced if there is no opt-in for PVP on Stormhold? If no PvP - no subscription more from me and my friends, so sad that devs dont care about PvP communty. The reason of all quit on Deathtoll is huge class disbalance in PvP, coz 3 classes(especial brigs, even after nerf dispatch they still can 2-3sec kill almost anyone) are OP and others are full trash for PvP. Ishtara, Sapryze and ringgirl_UFC like this. Sapryze, Ishtara and ringgirl_UFC like this. Hello devs! But I want to say bye now, until you give us PvP fun. Honestly, I think it's the best decision they could have made given the circumstances. If you just go by the forums, by far the highest volume of complaints came from PvP related issues, and they clearly don't have the bandwidth to manage both the standard servers, a PvE TLE server and a PvP TLE server. And for now at least, the two TLE servers have progressed in lockstep. Imagine if one had stayed behind while the other progressed. That would have increased their workload even more. As far as PvP in EQ2 goes, I've said this before, but I'm not sure what people really expected. The last of the devs who were primarily responsible for PvP content and balance were cut back or shifted to other positions in the company about three or four years ago. If I were a serious PvPer, that would have been the writing on the wall for me. In any case, while I'm sure they'll lose some subscriptions, they must have the internal numbers that shows it won't have a significant impact at this point. It's true that cost-benefit analysis can be a harsh mistress at times. I like it. 1 server more concentrate on PVE problems like loot itemization , balance raid/group dungeons and etc. Better do 1 server but full then lost both. The Deathtoll server by this company is the most embarrassingly fail involvement in an MMO or PC game that I have experienced in 20 years of gaming. Unbelievable this community paid money to be ignored. Bad company and bad customer service. No EQ2 or EQN for me. Sapryze, Ishtara, Prasecisqo and 3 others like this. Orchid, Vlahkmaak, Kuulei and 4 others like this. I feel robbed as I paid huge money from last July... Bought lots of DBG cash and also ran 2 accounts for several months :-( Lot of things were so easy to fix in pvp (tone few abilities, add body drop tokens and rewards...) but NO ONE BOTHERED!!! Sapryze and Ishtara like this. I'm assuming that if I voluntarily transfer there early, I will need to choose a new name (as someone already has mine). If I wait until the merge, the naming rules are different yes? She was made a week before I was, but I still log mine in and I'm assuming she doesn't because she's still level 50. I won't continue to play there if I can't get my name tbh. Does anyone know how this all goes down? Oh man, you're actually upset enough about this to make spoof accounts to flame an official forum board. That's adorable. Wirewhisker, Kittybock and Raff like this. I would like to know how names will be handled if we wait for the merger, too. I'm assuming a voluntary move would require anyone from Deathtoll to choose another name if their name is already taken on Stormhold, and I would rather avoid this. Shesaz and Ishtara like this. Moonpanther, Kuulei, Vunder and 1 other person like this. I have only ever seen maybe two former DT players ask for a merge of the servers, and at least one of those was advocating for BGs to be added to SH as well. The majority of us (DT players) are only playing EQ2 for the PvP and without it we really don't have a reason to sub, it's not dramatics, just facts. 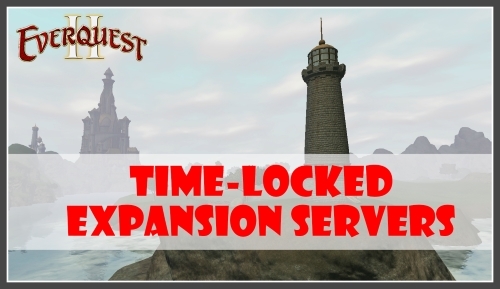 I think it is safe to say that we all (TLE players) expected that when we were required to pay a sub to play that it meant that we would be playing a product that would receive timely maintenance. When we became aware that this was not the case, a lot of people left DT. It is not in any way unreasonable for those of use who remain, to be upset that product we want is no longer available and as such do not wish to continue paying for our account(s). Deathtoll declined because of many problems that Stormhold faced too but without the extra perk of the PvP I might as well go back to the regular servers and play there besides being restricted to level 70 and travel is inconvenient whats the difference ? O yea you have to be a member. o yes and telling us that we are dead is another one we at least had something like 50 to 60 people on the server until this announcement was made after that the population plunged even more. what's the point of moving over to the other server early if we all get transferred there anyway there anyway ? A veteran-player friend of mine tells of when one used to be able to opt-in for PVP on ALL servers. He suggests that would be the best model to return to and I tend to agree.